Today is a special day. It was the day God gave us the most charming, talented, crazy (let’s be honest) and undeniably fashionable man in Bollywood. No prizes for guessing - yes, we’re referring to the second half of DeepVeer - Dips, you lucky bish - Ranveer Singh. The man has been setting hearts on fire with his quirky personality and even quirkier wardrobe for the past few years. We, of course, appreciate a man (or anyone) who can work print on print like a boss AND his basics just as well. The desi munda totally charmed his way up through his first debut film and got us hooked to his looks. 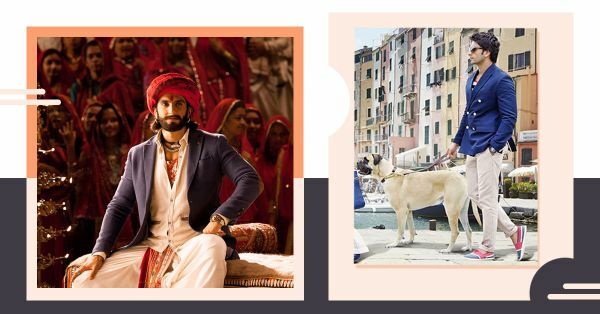 Even though, his style in the movie wasn’t the best - I mean, he played a Dilli ka desi chichora - we can’t deny that he aced the printed tees, college boy kinda look! In the battle of wits in Ladies VS Ricky Bahl, the ladies might have won in the movie, but Ricky Bahl ruled the heart for real thanks to his ripped body and linen shirts that didn’t attempt to hide it! And he still does. Damn you, Deepika! Let’s just say, kya karun, oh ladies, he is aadat se majboor! The easiest way to a girl's heart? A heart-printed shirt that declares your love or flirtatious intent. This seems to be the message behind this super cheesy and philanderous Ranveer Singh look. The shirt buttons opened a little too 'Deep', the local goon hairstyle and the lover-boy Jitendra vibe makes this a hell of a roadside Romeo look. Yet ironically, it all works! 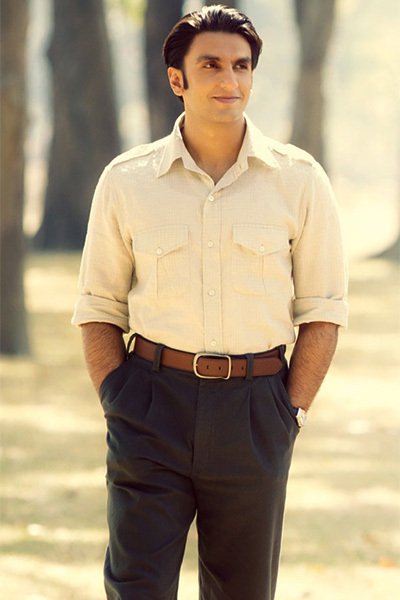 Baba’s look in Lootera is super underrated. If anything, we guys would love to rummage through his wardrobe to loot those vintage cardigans and those casual trousers! His look elevated his personality in the movie - simple, yet layered enough to hide his deep dark side. Doesn’t hurt that girls love a dapper fellow like nothing else, does it? 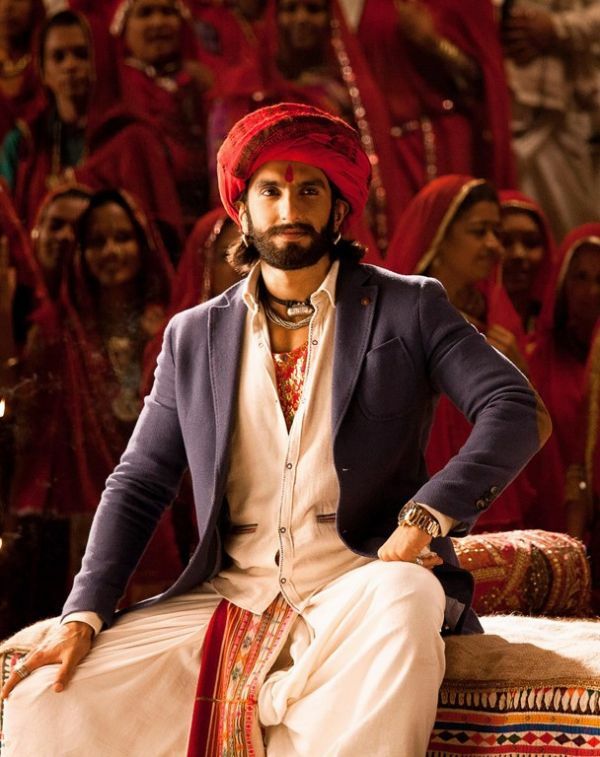 That dhoti with the turban and the coat, now why can’t all Gujju men be this stylish?! 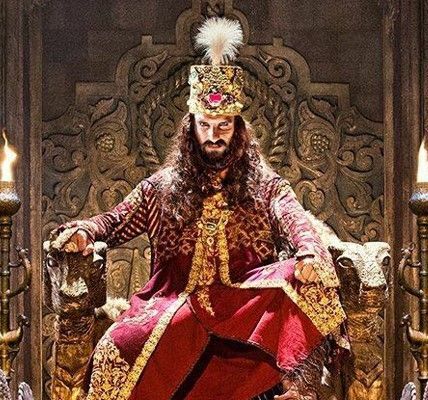 We clearly know why all the girls in the movie were drooling over him, because, Ramji ki chaal dekho! Also, that perfectly ripped body of his makes just about anything look great. Side note: Yummm. Who doesn’t love a sharply dressed boy who is secretly carrying a lot of (first world) pain in his heart? I know I do! I’m totally digging that jacket and that effortless walk. Also, I have a weakness for quirky footwear, especially on men so everything about this picture is making me drool! 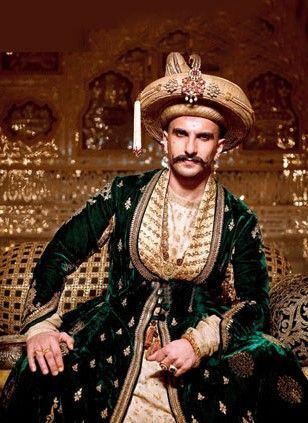 If Bajirao dressed like that, I’d happily be Mastani, TBH. It’s the first time I’ve seen a man working velvet, jewellery and hats so well! So much so, I think I gave Dips’ outfits a miss because I was busy taking notes from his elaborate wardrobe, not kidding. It’s hard to hate the barbaric villain of a movie when the guy is dressed to the nines. Especially if the guy is Ranveer Singh. His Persian avatar was beyond believable in intricately embroidered coats and his OG Doc Marten boots. Love!